Unite 2 for macOS allows you to quickly and easily turn websites into apps on your Mac, and much more. With Unite 2, we've completely rewritten the backend using WebKit 2, added industry-first customization options, and much, much more. Would you recommend Unite 2 for macOS to a friend? Binyamin GoldmanMaker@bzg0515 · Founder and CEO of BZG Inc.
@bzg0515 Are the apps sharable? 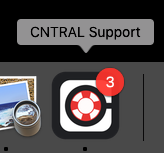 Meaning, can I deploy to other machines via Apple Remote Desktop? Or do all machines have to have Unite installed? @tamayers Hey, the apps are not shareable. We do offer enterprise/white-lable support on a case-case basis however. @joshuapinter 👍 glad to help! I created an app from a webpage with fluid and then from the same webpage with unity2. Can´t see any difference. What are the advantages of Unity2 over Fluid? @valuemerce Hey, there are a few differences. First of all, by nature two different browsers will not work exactly the same so we have different techniques when it comes to size, backend, updating, etc. The most noticeable user facing difference when it comes to Untie 2 are our customization options, which I do not believe are currently available in Fluid. Coherence gives options for running extensions. Ad-blocking is a must for me. Does Unite offer any capability in this regard?